When the “Crimea blockade” started on September 20, skeptics predicted it would not live long. A month later, in late October, an UNIAN correspondent visited the roadblocks at the administrative border and found out that the activists are preparing for the winter despite everything, and do not intend to give up. The indefinite action on a blockade of the annexed Crimea was launched on September 20. 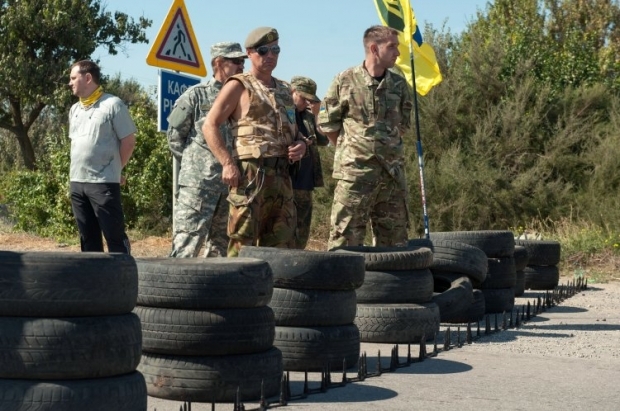 That day 30 activists - representatives of the Mejlis of the Crimean Tatar people, representatives of the "Right Sector" and the former Maidan’s Self-Defense, as well as representatives of public organizations of the Kherson region - blocked three roads leading to the peninsula ... The roadblocks emerged that day near the checkpoints of the State Border Service are still there, blocking the movement of cargo transport in both directions. "On the first day of the blockade, we had 30 people, now it’s over 500. It’s all well-organized, the mechanisms of the campaign have been worked out to the last detail," Lenur Isliamov, a businessman, one of the blockade’s initiators, has told UNIAN. The very first week of the blockade was quite fruitful. According to the MP from the Bloc of Petro Poroshenko, leader of the Mejlis of the Crimean Tatar people, Refat Chubarov, participants of the blockade "have ensured that Crimea cease to be a gigantic pump, through which goods were moved from mainland Ukraine to mainland Russia." "We continue to monitor the trend of reduction in passenger traffic in both directions," aide of head of the State Border Service of Ukraine Oleh Slobodian said last week. At the same time, contrary to expectations of skeptics that the blockade won’t last long, preparations for the winter period are in full swing at the roadblocks: the participants of this indefinite rally are well into insulating their “camp.” "The campaign will continue, no matter what. If the authorities take no action if the authorities are ready to repair all three damaged power lines within two and a half hours, and sell the peninsula for 30 pieces of silver, they should be aware that that we won’t just give up on Crimea," says Lenur Isliamov. As UNIAN reported earlier, the activists also insist on energy blockade of the annexed Ukrainian territory. However, the Minister of Energy and Coal Industry of Ukraine Volodymyr Demchyshyn recently said he does not support the idea, and urged to resolve all contentious issues in the negotiations. "I personally do not support the position of disconnection [of Crimea from electricity]. I believe that everything should be addressed in the negotiation process," he said and added that Crimea pays for electricity in due time. According to Isliamov, the representatives of volunteer battalions who support the campaign will spend this winter at the roadblocks along with the Crimean Tatars. "Everyone who joined us, they are on duty here along with us. 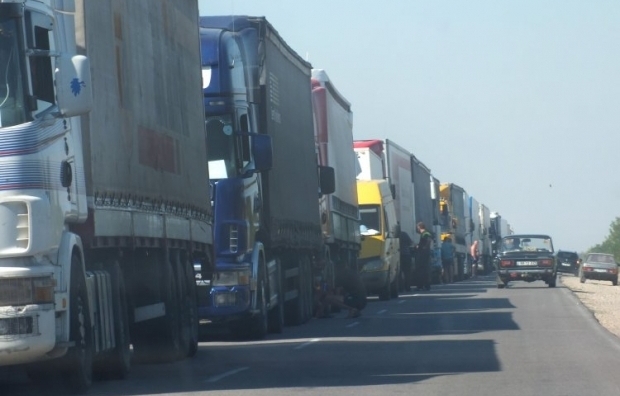 All three roads to Crimea - Kalanchak, Chaplynka and Chongar directions – are blocked, there is a constant vigil organized at each six-people-strong roadblock. We are constantly searching for various so-called secret trails, conduct aerial reconnaissance with quadcopters that we have. We continue to work with the locals, constantly keeping in touch with our people in Crimea," says the activist. He notes that the activists receive information from annexed the peninsula from time to time about attempts to import goods from Odesa, Mykolaiv, and even Turkey. "In such situations, we immediately inform Dzhemilev and Chubarov [leaders of the Mejlis of the Crimean Tatar people – UNIAN], so that they could block these processes from Kyiv. This blockade must come from all directions," says Isliamov. However, according to the State Border Guard Service, there are no "detours" by sea. "With regard to information about some goods being moved by sea, a special group was set up on our initiative that tested every possible aspect of the existence of such channel. This information is not confirmed. That is, there is no reason to say that in some way directly from sea ports, or by reloading cargo from larger to smaller vessels, or vice versa, which then enter Crimea, there are ways to supply food to the peninsula by sea," said Oleh Slobodian. Police officers from Kherson battalion continue their duty at the roadblocks along with the activists. According to Colonel Ilya Kiva, who, until recently, was the deputy head of the Kherson regional division of the Interior Ministry, the battalion is getting ready for the winter together with the activists. "The troops are fully equipped, they have winter uniform and all they need. We are setting up stoves, insulate the rooms, change the mode of operation. Our task is to ensure the rule of law there, it’s regular police work. So all regular routine preparations for winter are carried out. The only thing that will change significantly is the schedule of duty. In winter, the soldiers will be on duty for two hours, and will go out there for 24-hour shifts. After 24 hours they would rotate. Tents that are out there, are all equipped with stoves, firewood is no problem," he said. The local authorities continue to support the campaign at their level. According to the head of Henichesk district state administration, Oleksandr Vorobyov, the number of participants to this campaign is increasing, as the locals join the effort: "Despite the deteriorating weather conditions, the number of participants in Crimean Maidan is constantly increasing." By the way, while just a month ago, the farmers of Kherson region complained of losses due to the blockade of the Crimean goods, which provoked the fall in prices for Kherson vegetables, but today, for example, Henichesk district is preparing to host a special trading platform for local producers. According to Oleksandr Vorobyov, the president of Ukraine supported the initiative to move the so-called free economic zone (FEZ) from the territory of Crimea. "We are now preparing a site for the establishment of this zone. All entrepreneurs in the area are involved, they deliver food to participants of the blockade, they are willing to work at the FEZ platform," he said. "If the Crimean family comes to us willing to buy a sack of potatoes, our traders will sell these potatoes at an adequate price. Unfortunately, today, the wholesalers are already raising prices, and those Crimeans who come to us just to buy food, they pay too much. One shouldn’t profit from these processes. I discussed this issue with our businessmen, and they are ready to work on this platform," said Vorobyov. Thus, all the preparatory activities at the border with the annexed peninsula confirm that the activists are dead serious. Participants of the blockade claim that the winter will not affect their activities. And the longer the blockade, the more likely the problem issue of Crimea will remain on the Ukrainian and international agenda. 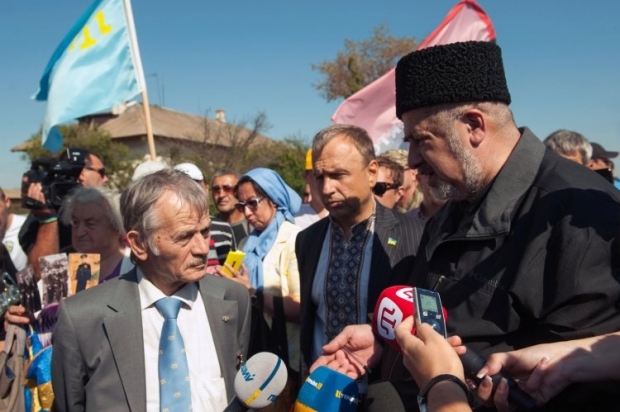 Thus, according to the head of the Mejlis of the Crimean Tatar people Refat Chubarov, activists of the blockade "not only put the Crimean problem back on the international agenda… they also returned the issue of the whole Ukraine." Participants of the rally at the peninsula administrative border have set the main goal - not to allow forgetting about Crimea, not to allow thinking that other issues can be agreed upon at the expense of Crimea.